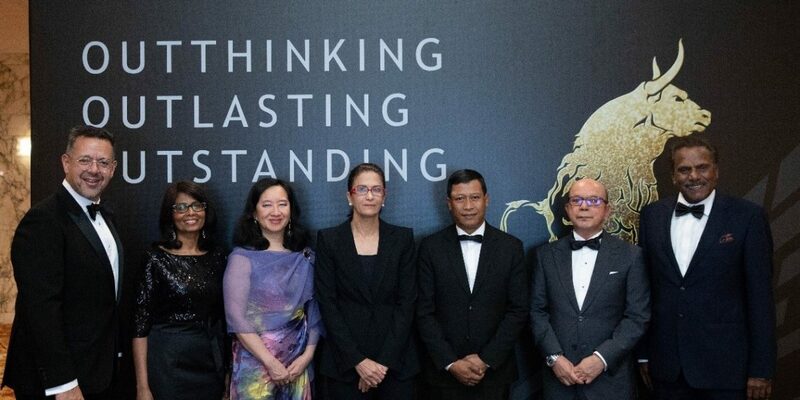 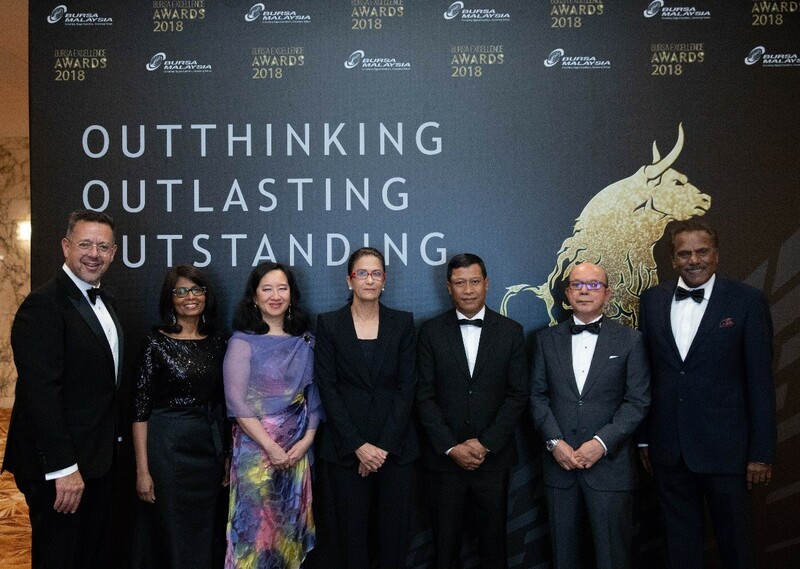 From L-R: Datuk Muhamad Umar Swift, Chief Executive Officer, Bursa Malaysia; Selvarany Rasiah, Chief Commercial Officer, Bursa Malaysia; Datin Grace Yeoh Cheng Geok, Independent Non-Executive Director, Bursa Malaysia; Datuk Shireen Ann Zaharah Muhiudeen, Chairman, Bursa Malaysia; Dato’ Asri Hamidon, Deputy Secretary General (Investment), Ministry of Finance Malaysia; Datuk Syed Zaid Albar, Chairman, Securities Commission Malaysia; and Datuk Karownakaran @ Karunakaran Ramasamy, Senior Independent Non-Executive Director, Bursa Malaysia. 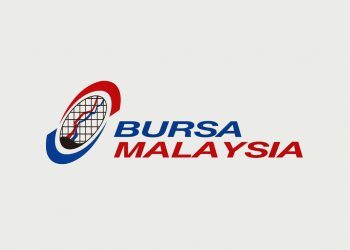 KUALA LUMPUR, 11 April 2019 – The Bursa Excellence Awards 2018 ended on a high note with 44 award recipients honored at the glittering awards ceremony on 9 April 2019. 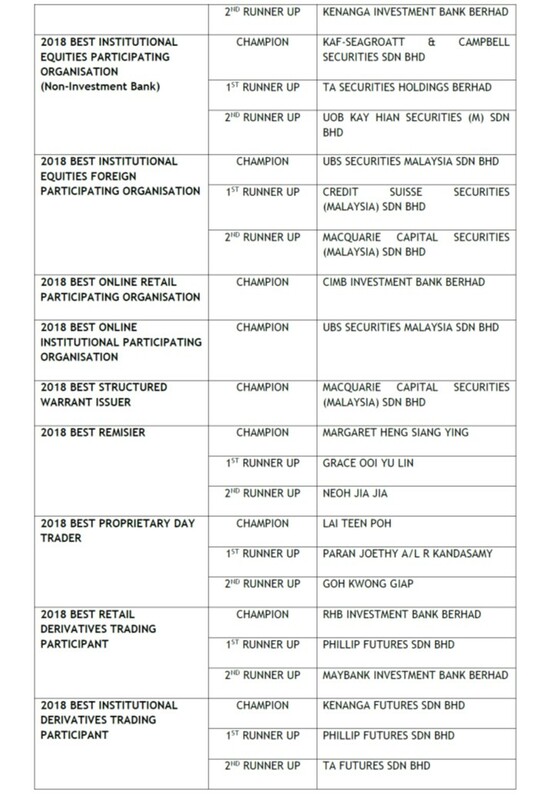 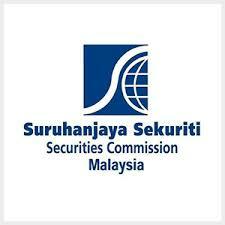 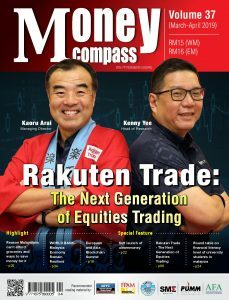 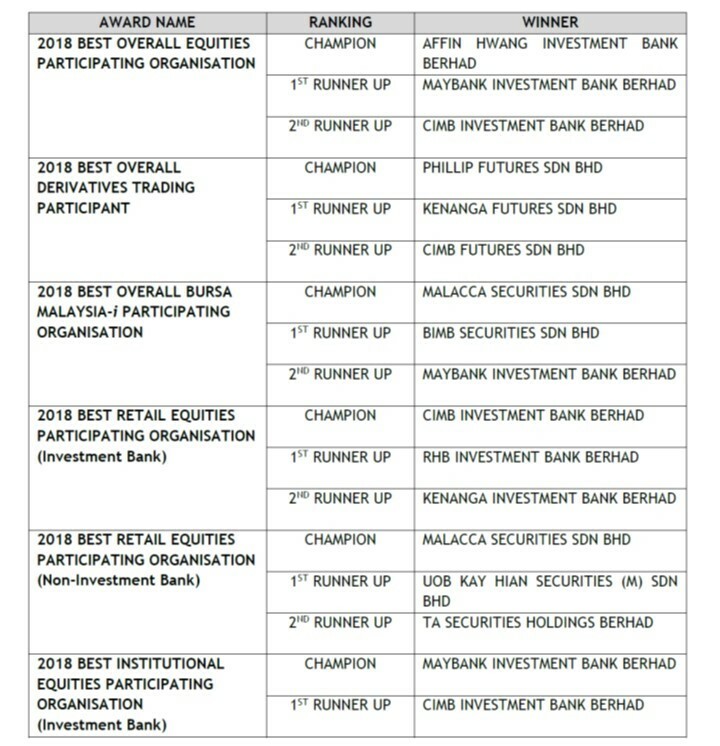 Bursa Malaysia Berhad (“Bursa Malaysia” or “the Exchange”) recognized top performing brokers and market intermediaries whose hard work has contributed to the growth of the Malaysian capital market at the event with the theme “Outthinking, Outlasting, Outstanding”.